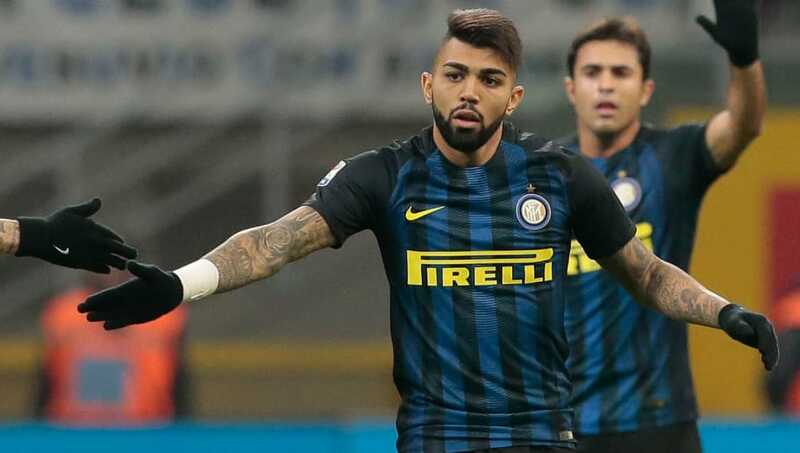 Benfica have reportedly won the race for the signature of Inter forward Gabriel Barbosa - 'Gabigol' - ​who is set to join the Portuguese club on a season-long loan deal. 21-year-old Gabigol was touted as one of the finest young talents in world football but had a disappointing debut season with Inter, and as such the forward has looked elsewhere for regular game time and has been subject to interest from the likes of Sporting and FC Porto. However, according to reports from ​O Jogo the 21-year-old is close to a move to Benfica after the Portuguese club agreed to a season-long loan deal for the forward, where they are also set to only pay one-third of his salary - with Inter to subsidise the remainder of his income. The 21-year-old's debut season in the Serie A resulted in a measly nine appearances from the bench, which returned one goal in a total 113 minutes for the entirety of the 2016/17 season.